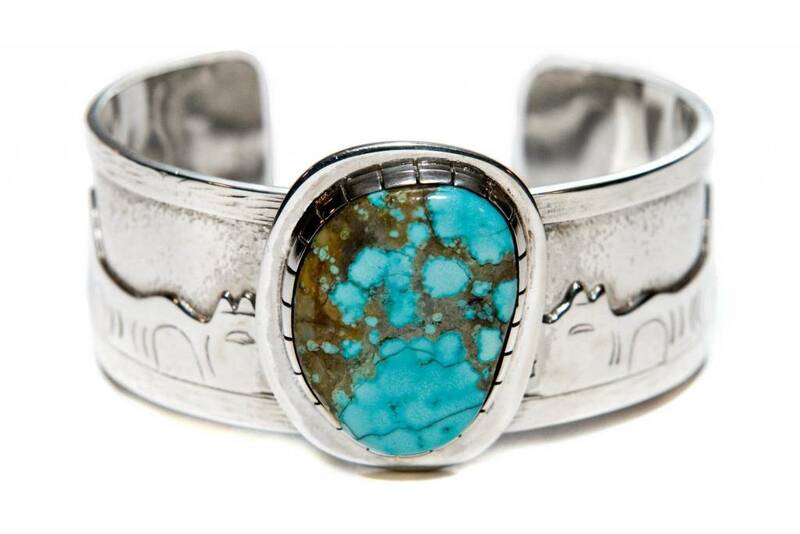 Home / Story Bracelet with Turquoise by Terrance Campbell. 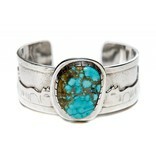 The stone measures 1" by 3/4" and is from Lone Mountain Mine. The sterling silver band is 1" wide. The spirit of the grizzly in Alaska.